AOS Treatment Solutions offers sodium hypochlorite (bleach) to provide proper disinfection of the plant effluent. For those plants that require water chlorination and dechlorination products, AOS CL2OUT or sodium bisulfite is available as an effective chlorine scavenger. What Is Chlorination of Wastewater and Why Does It Matter? For the purpose of greater public health, wastewater chlorination is a necessary procedure that’s practiced in every city. The process of wastewater chlorination achieves one important goal: it disinfects the water and frees it of the harmful pathogens. This must be done, and it happens before the water runs off naturally into oceans, rivers and streams. Dechlorination Explained: What’s the Difference Exactly? Chlorine needs to be put into wastewater to treat it and oxidize any contaminants it once held when in the sewage system. 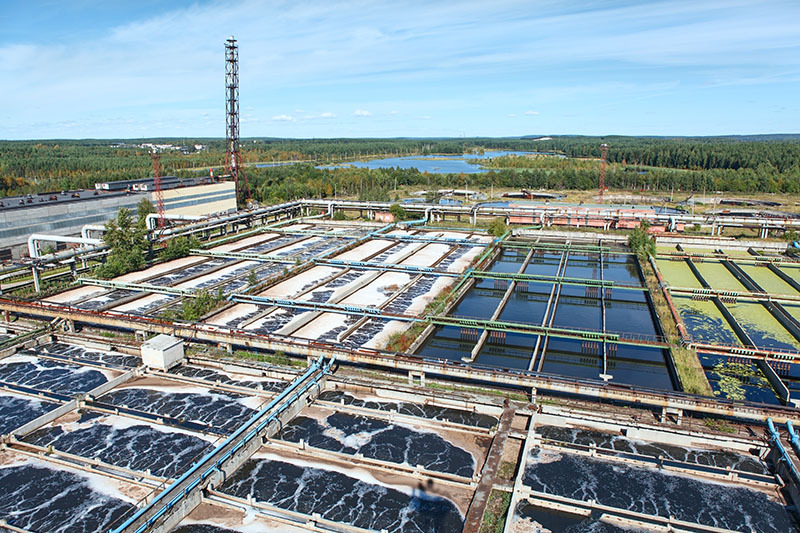 The chlorination wastewater treatment procedure creates byproducts in treated water. Dechlorination involves removing any chlorine-based byproducts to ensure the water is truly safe. This entire process allows wastewater to remain safe, without putting the community at risk. The removal of harmful pathogens is imperative, and exactly why wastewater treatment solutions are sought out by municipal governments. Contact us for more information on the full line of municipal and industrial water treatment products available from AOS.